I had the rare opportunity,to attend this exclusive lunch class with Executive Chef Michael Stebner, who co-created (with Dr. Andrew Weil) True Food Kitchen, and shared recipes and techniques with a few fortunate observers! The focus of True Food Kitchen is to promote an anti-inflammatory diet while using seasonal, simple and pure ingredients. The menu included Chicken Farro Salad, Fettuccine with Kale Pesto, Chocolate Icebox Tart, AND a special appetizer that Chef Stebner served at Dr. Weil's 69th birthday feast and I am sharing with you today!! 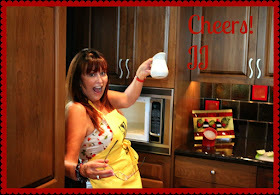 Love'n the Kitchen gave me free reign to take pictures and roam about the room....yes I used the "Blog card"!! The ultimate post holiday party is about to happen! Superbowl Sunday is almost here!! It happens once in a blue moon, but the Super Bowl and Mardi Gras are converging on New Orleans to bring a party of epic proportions. Mardi Gras and Superbowl in New Orleans on the same weekend!! 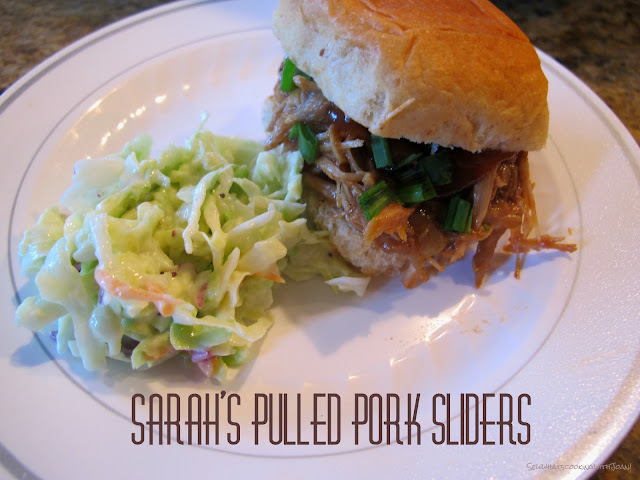 These slow cooked Pulled Pork Sliders or Pulled Pork Bruschetta make a great appetizer for game day or any gathering. 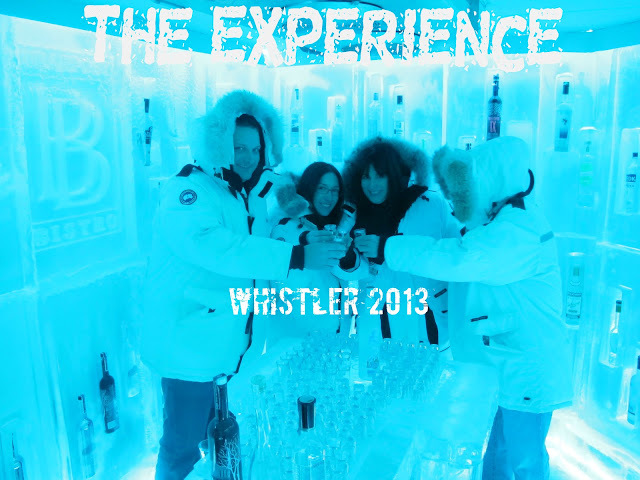 JJ, Wee Bear, TT and I went on our annual ski trip, this time to Whistler for a nice 10 days. During our time there we visited a couple times with a close friend of JJ and Wee Bears. They met him many years ago here in Washington (lives in the same neighborhood) and he spends the winter in Whistler as he loves to ski. Gerry and his wife, Lin invited us all for dinner a couple nights and on one of those nights, Lin treated us to a delicious meal of Chinese Ribs! JJ and I were lucky to be able to watch her make this dish in her kitchen and she was so kind to tell us what ingredients she used for the making. I did not get the exact measurements so I scoured many recipes and found a recipe that has the same ingredients but with a different cooking method. 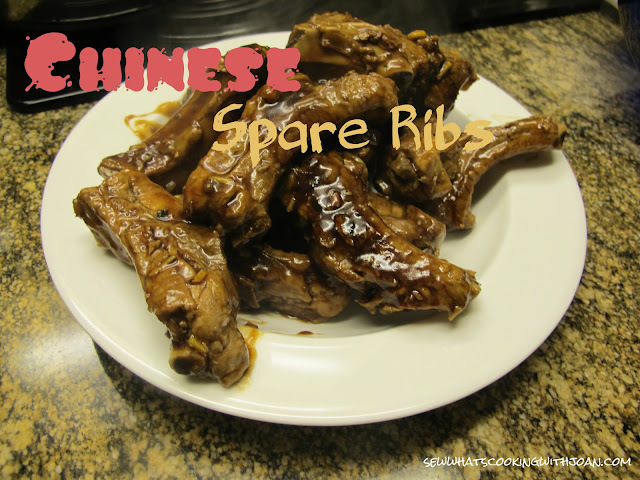 These ribs smell amazing during the cooking process and they taste even better! They are fall off the bone delicious. The spices and sauces used make these lick your fingers good! She served these along side some simple steamed broccoli and cauliflower using a bit of the broth she cooked the ribs in. Also, she treated us to her homemade fried rice, which we will feature in a future blog post! Would you believe that we have 30 degree F weather here in Scottsdale? Yes, when we flew in from the Pacific Northwest, we left our fleece jackets on! Brrrrrrr... it's freezing! Dry but freezing! 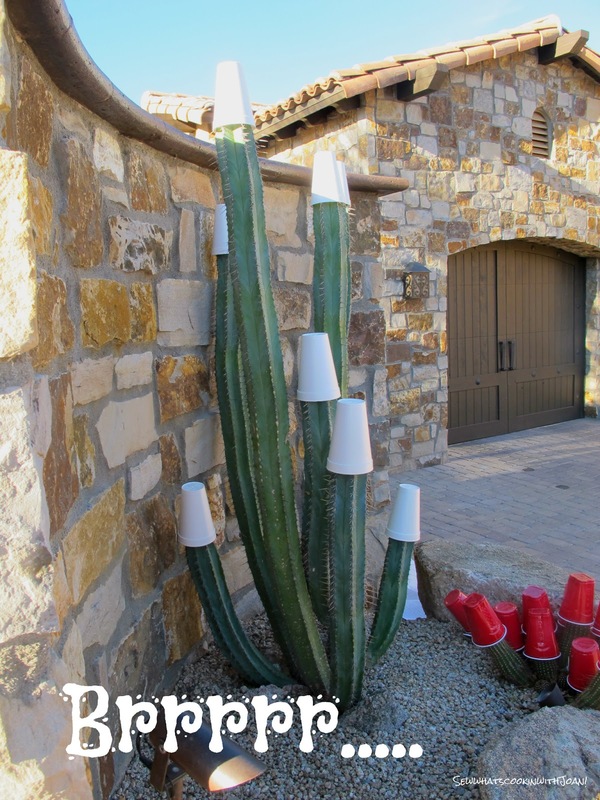 Even my cactus's are cold, they are all wearing their Winter gear, a Solo styrofoam cup! I like to eat low fat, when the flavor isn't jeopardized, so I used 2% cheese in the soup, but, you can omit or use any cheese. The ground chicken provides some lean protein, and the beans give a bunch of protein and fiber -- plus making the soup creamy with MUCH less fat than a cream-based soup would contain. We have some new neighbors that moved into the neighborhood and my girl-friend and I decided we would make a day of baking and present them with this wonderful cake. I found it on Pinterest but I added a couple different things to the batter. This pound cake is not overly sweet and the lavender gives it a wonderful fragrant smell and taste! 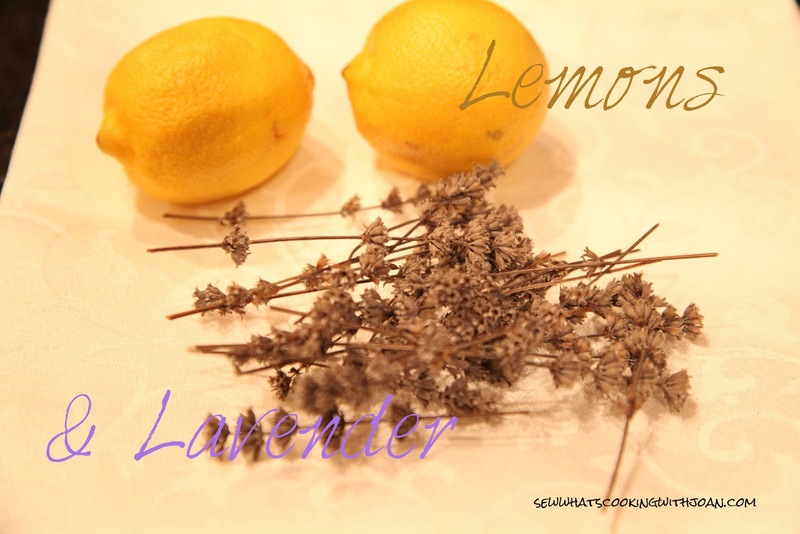 I'm lucky to have several lavender bushes in my garden so I will have to get creative with baking with lavender! The glaze that is poured on top after it comes out of the oven is heaven as it gives it a sweet crunchy topping...uuh, yum! Next time I think I'll double the glaze recipe as it could be even better with a little more sweet tangy crunch on top. This cake is perfect in the morning with a cup of coffee or as an afternoon snack with a cup of tea. If you want to serve this up as an after dinner dessert, it would be lovely with a dollop of cream or a scoop of ice-cream. Note one little Porcupine meat ball on the plate, recipe later............I made this for my son-in-law, Ross, by request! His Grandma used to make this recipe for him, and he missed having it. So, after lots of digging around by several relatives, the recipe was found and I made it for him! Everyone loved these little meatballs as much as Ross did, he was smiling ear to ear...............good memories. This one comes from my friend Ruth! Ruth and Jim had us over in December for dinner after the Celebration of Christmas Concert at our church, here in Scottsdale. Ruth is accomplished in the kitchen and Jim knows his wines and what to pair with Ruth's delicious dishes. Ruth agreed to share her recipe. I prepared this easy recipe for family once we were in Seattle. It worked out perfect as all in the same day, six of us went to the Fifth Avenue for Elf, the musical, then, our daughter, her husband and daughter arrived from Oregon, we drove 10 minutes to Wee Bear's brother and sister-in-laws house for some Holiday cheer, then, home for a sit down dinner for 9 people. 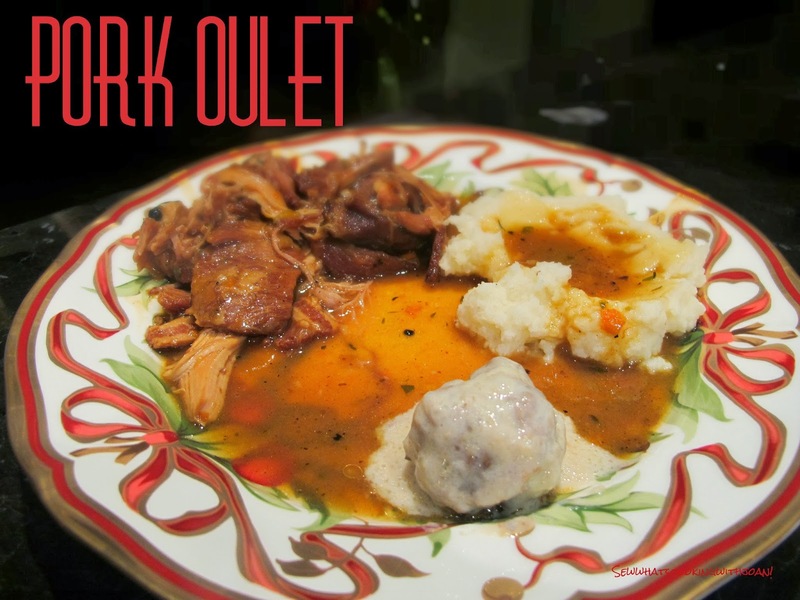 This recipe can be made in the slow cooker, I paired with mashed potatoes, that I had prepared in the morning and included "Porcupine meatballs", special request from our son-in-law.....more on that later. 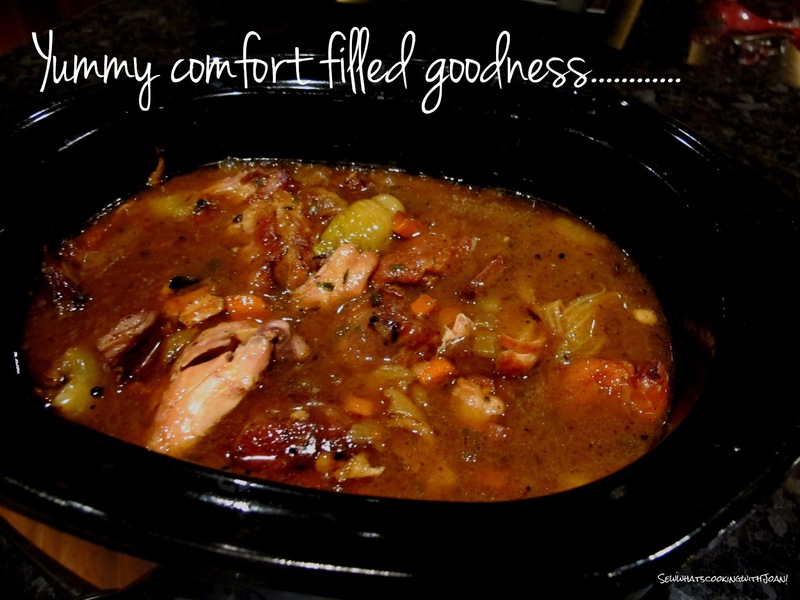 This is comfort food for cold weather and figure friendly............BONUS!! Let's face it, unless you live in a tropical climate right now "Arugula salad and a cold sandwich" does not cut it!! Instead we need to succumb to that secret desire to enjoy a rich succulent, warm, wrap your lips around "comfort food". This one fills the ticket comfort and figure friendly! 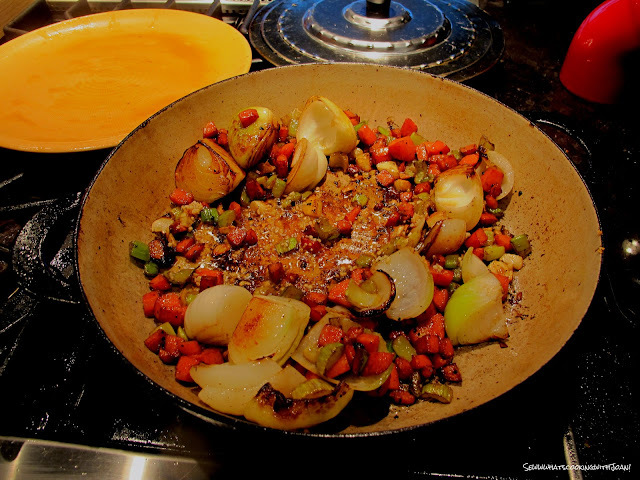 In a cast iron Dutch oven, over medium-high heat, add the bacon and cook until just crisp. Remove from the pot and set aside on a paper towel lined plate. 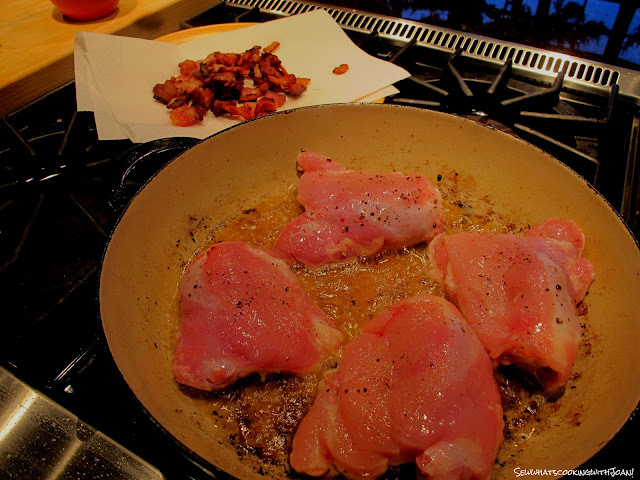 Season the pork and the chicken with salt and pepper.Add the pork pieces to the bacon fat and brown on all sides. Remove from pot and set aside on a large plate. Add the chicken thighs to the pan and brown evenly, remove and add to the plate with the pork. Add the cipollini onions, carrots and celery into the pot and cook for 3 to 5 minutes. Stir in the garlic and cook for 1 minute more. Whisk in the flour and cook for 2 minutes, then add in the stock, bay leaf, thyme and sage and combine well. Put the pork and chicken pieces into the sauce and cover. Reduce the heat and simmer until the meat is fork tender, about 2 hours. Add in the cannellini beans and cover and simmer for 25 minutes. Transfer to a serving platter and serve hot with a drizzle of the sherry wine vinegar and a sprinkle of the parsley (both optional). This can also be made in the crock pot to free up your time. 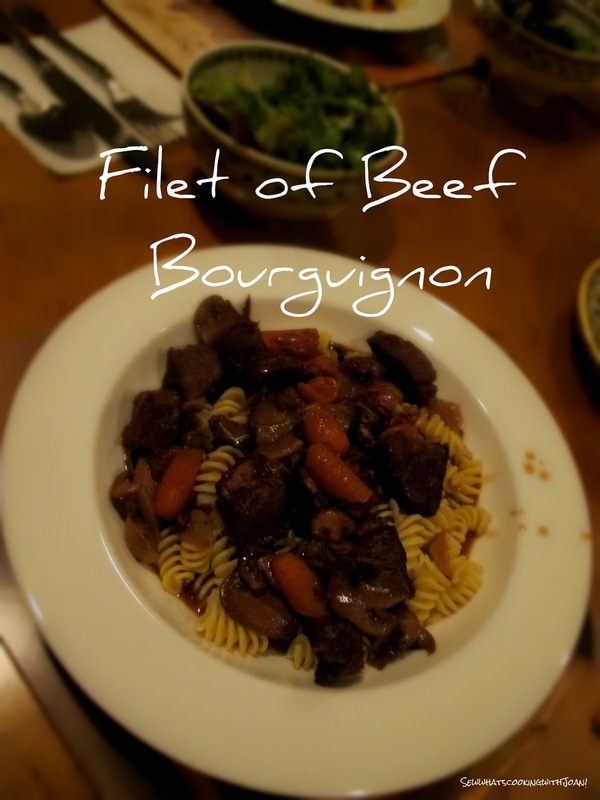 Suggest on high 5-6 hours and low 8-9 hours after you sear the meat and saute' the veggies. 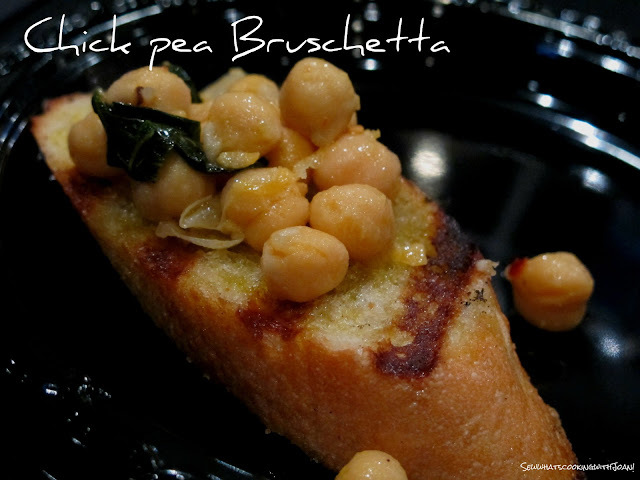 It is great with the beans; sometimes I omit them and serve with a starch such as rice or noodles instead. For a richer sauce, make additional gravy by whisking butter and flour in a pan and adding some of the juice from the cooking and thicken. Serve on top or at table side for the gravy lovers! You need to make this one!! It is really perfect for the weather and our mood! After the holidays, you really need to take a break, re-evaluate or you may need a mental break. So, wheels touched down Monday....... Tuesday, I am in the midst of a two day class to further my "Gourd Art"! Today, Wednesday, is day two, and oh how cool is this!! After staining and drilling holes into my extra large gourd, the fun starts. First weaving the reed into the spokes, that I have placed in the drilled holes. 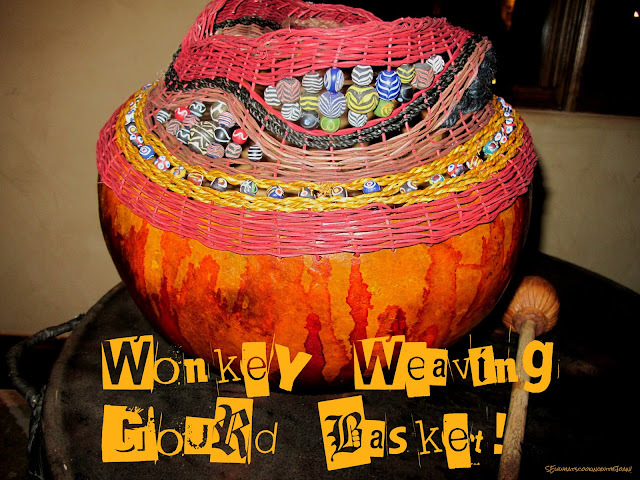 Today, I start to weave in the Sea grass, beads and other fibers to make it Wonkey!! You'll see! 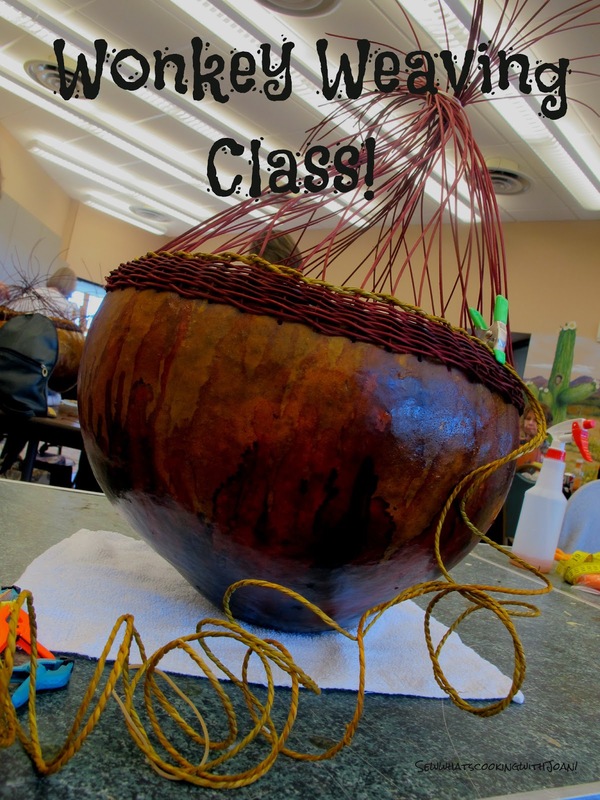 Fun class! One of the wonderful things about quilters is our ability to share the joy that each handmade project brings. 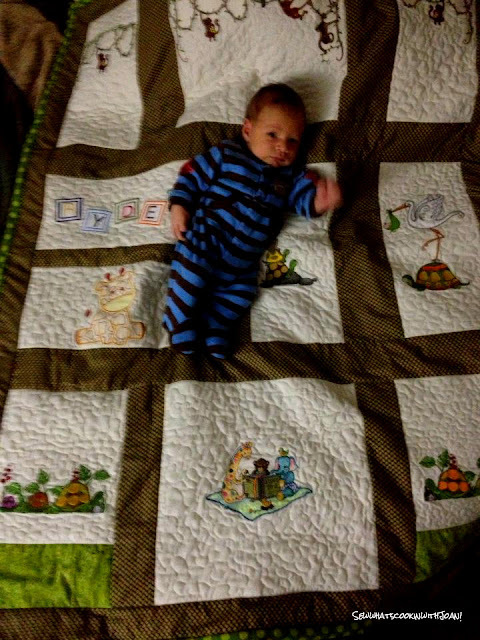 Handmade baby quilts make wonderful gifts, and the smaller size makes them a manageable project to work on and finish! With a variety of baby quilt patterns to choose from in various collections, there is sure to be a design that you can create or customize for your little peep. For beginning quilters I suggest selecting similar fabrics to those used in the baby quilt pattern, or if you are confident adapt fabric choices to suit your or the recipients tastes. You can make small changes using embroidery and finishing techniques, or add a personal touch by free-motion stitching all over the design. No matter which baby quilt ideas you decide on, you are sure to end up with a one-of-a-kind baby quilt that will be loved for generations. Just in time for a weekend of football! Classic Old-Fashioned Beef Stew with Winter Vegetables, the perfect comfort food for the long, dark nights of January and February. For families that are on-the-go, slow cooker recipes are the best solution for hurried dining between work and play. This is going to be a simple blog with a simple recipe but bear with me, I’m going somewhere with this. Sort of....... A couple of years ago a few of my adult children and I met in Lake Tahoe for our annual ski trip. As usual we had a wonderful time. While there, we had the pleasure of dining at a wonderful restaurant in the Squaw Mountain Village, which is since gone out of business. We had incredible food, however, the thing that has stuck with us most about our meal there, was the popcorn. That’s right. The popcorn! 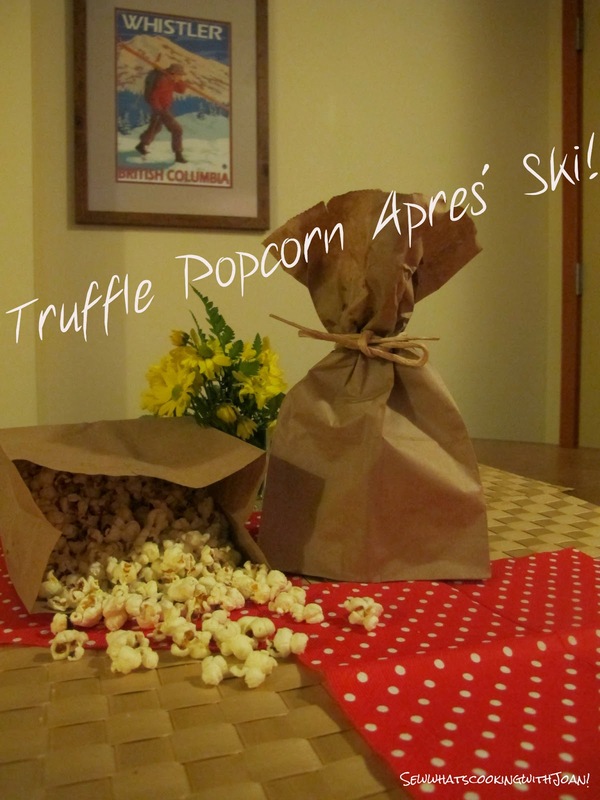 Totally decadent, truffled popcorn. 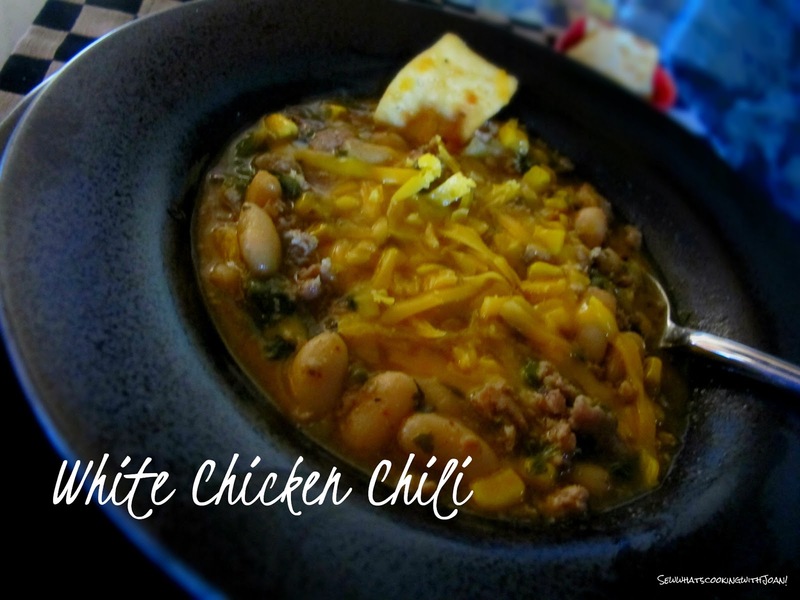 We have been trying to replicate this recipe for several years! YES YEARS people! And today, I am giving you our findings. Those who have helped to perfect this ..........Laura, JJ and Amy. I’m not such a fan of conventional microwave popcorn bags, but, if you’re okay with all that additional stuff in traditional microwave popcorn then go for it. We were told no visit to Whistler is complete without an evening at the Bearfoot Bistro. We arrived to Whistler for the annual family vacation minus a few family skiers/boarders who needed to cancel for various reasons. Three hours later we found ourselves seated and enjoying a spectacular meal created by award-winning Executive Chef Melissa Craig. 2012 is here! Time to engage in our New Years resolutions! Do you work for a "Healthy Company"? Are you looking for a "Healthy company" to work for in 2013? 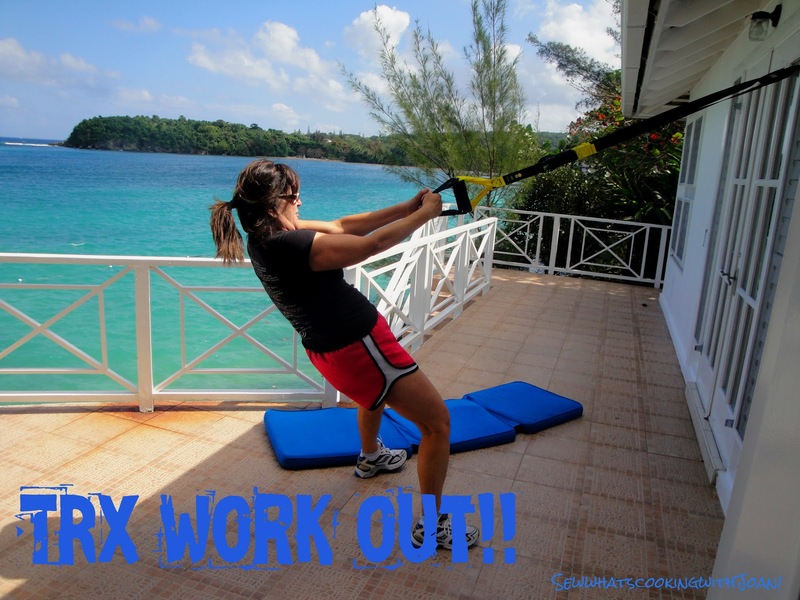 I researched for you and found the top "Healthy companys" of 2012! Healthy employees are typically happy ones—not to mention they can save their company a bundle on medical costs. Research from Harvard University also shows that workplace fitness helps chip away at absenteeism, increases productivity, and reduces turnover. Given all that, it’s no surprise that corporations are redoubling their efforts to keep their workforce fit. With sparkling on-site fitness facilities, reward programs for physical activity, and group exercise outings. This is an excellent system for travel! I take it on every trip! !